i'm looking for a cellphone with a good camera, mp3 player, memory card slot and long battery time. i had decided to buy a v3i because it's very thin and it has airplane mode, but now i'm not so sure if it is as good as i think. 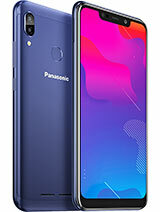 is this panasonic much bigger than v3? and is it as personalizeble (i don't know the right word :P) as v3?? It can change cover to black / blue etc but can you get rid og the white back ? i just got this phone a couple weeks ago. battery life is on the short side, but liveable for me as i am always around a charging source, either my car or home charger. -bluetooth issue: when pairing a device (such as a headset), pairing does not necessarily mean connecting. after you PAIR your headset with your phone, you must connect to it with the x800, it does not automatically connect once you pair the two. -ringtones: with the included software, i was able to transfer 30 second song clips (it takes about 30 seconds for a call to be sent to my voicemail) to the SD card in the phone via the included USB cable. the catch is, they're WAV files, but still work fine, the included software converts the bit rate and format for you. and yes you can assign different ringtones to different caller groups. -camera: yes it's a 640x480 vga camera, but WAYYY better than my razr's camera. 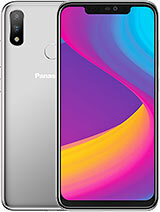 -service provider issue: i have both cingular and t-mobile (work and personal phones), but with either sim card in the panasonic x800, it says CINGULAR as the provider. i called t-mobile and they say that they share towers with cingular and the tower with the strongest signal will be displayed on this particular phone, which in my area (san francisco), is 95% of the time, cingular...sometimes it says "AT&T". -user interface: menus are nice, user interface is straight forward, although color themes can take a while to load. -ring profiles: about 5 of them, all can be customized, 4 can be renamed ("general" cannot be renamed). when vibration is enabled, vibration does not pulse, it is a constant vibration until each sound file ends...so if you have a 30 second long ringtone, it will vibrate the entire 30 seconds or until you answer the phone. -screen: main screen is very vibrant, better than my razr, outside lcd screen is color, and does show a picture of the person calling (if you assign any pictures to phone contacts). 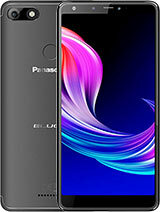 -push button: the auto-open button is indeed useful, and fortunately, you can turn off "auto answer when open"
-earpiece: earpiece can be a tad louder, but it is indeed loud enough, more treble than other phones, but this does add clarity. I have been using this phone for one year. All the other feathers are good but the battery. Seems like the battery died very fast (less than 24h in standby mode). Is it the battery's problem? 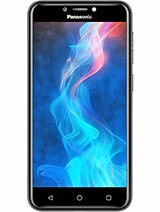 Could someone who has this phone please tell me if it seems uncomfortably big in your hand when its open. The specs say it is about 20 cm from top to bottom when open. Would you recomend getting this phone??? where cn u gt the wma1.2 from? where cn u download it? Here are some answers for those worried about the mp3 ringtone/player for the X800. Get the WMA1.2 Player for the X800 so that you can set mp3's as your ringtones. Mp3's can only be transfered via a SD Card Reader. This because the onboard memory of the X800 is too small to handle large sized files. Sometimes those small mp3 clips of sounds and songs that you get from the Internet may not work as the phone only accepts the ISO standard of a mp3. maybe you dont' know this way!!! when you connec USB cabe with your PC, you must goto connectivity on your phone, then USB to active the usb of phone. I think it's a safe way to protect the phone! it's really good? and bluetooth connec also has 3 levels to transfer data!! it's better than 7610 and 3230?? i think so. i had my phone for 8 month, and i can talk that it's program is verry good, no dead, no freezer when working as 7610(I also had before). i think X800 more interligen than we hope! with low price!! this series is perfect designed and complete programmed. i have the desktop charger for the panasonic models, and the phone is currently dead i have the usb cable,is there any way to charge the phone>? I had x800 for about 6 month and it went dead on me. 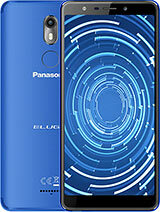 the phone shuts down often while talking and I put the battery back in and turn it on it comes back but now it did not respond and all my data is gone.panasonic tried to change the screen but still not working.I really loved the design of this phone but I will get different phone. - because x800 use symbian OS so it may be attack by virus. you can download antivirus program to kill them in http://www.mobilefan.net/Symbian.nsf/Download-Fr­ee-Software. - if your x800 still not work normally maybe some of program files has been deleted when you use it. but you don't know when or why! you should re-istall progam at the service supply. 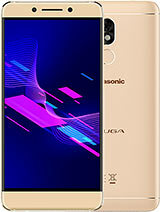 - Panasonic always make phone with batery life so sort! about 24h if you use it normal! -i think x800 is the same with Nokia 6260. screen with more fresh and clear color. more office software. direct print... x800 look nice, thin and only 99g. but sound is bad! batery bad! Did you find how to fix your problem with the screen? Can anyone help? i've had mine for about 2 months and occasionally, the battery seems to overheat or something and my screen will just turn solid white. usually i can just take out the battery and put it back in and then everything will be fine except the loss of about half my battery's life. However, today the same thing happened, and now even if i try to take the battery out and put it back in, its still all white screened. Anyone know what to do? has anybody synchronized to their microsoft outlook? i couldn't do that. can somebody advise me on this? why are sony ericcson phones' speakers so LOUD and CLEAR until it is deafening?? ?